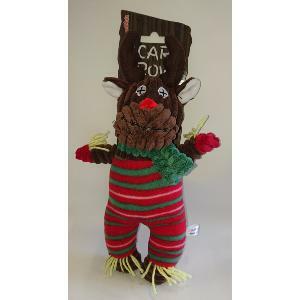 This Animate Scarecrow Reindeer Dog Toy comes complete with a squeaker inside. A great Christmas or Halloween toy. Machine washable - Do not tumble dry. Choose appropriate play toy for your pet. Supervise Your dog at all times when playing with this toy.